After thousands of visas and years of service, we are proven in our firm's knowledge base and success. Please use our extensive articles as a resource to learn more about U.S. visas and the immigration process. Different people have different types of immigration needs. Navigating your way through the U.S. immigration system can be both difficult and confusing. Entrusting your future in the United States is an important decision and choosing an immigration lawyer with extensive experience in immigration law is the smartest way to ensure your case has the best possibility for success. KPPB Law is a full-service Northern Virginia immigration law firm that handles all types of immigration needs. The professional staff is mission-oriented and truly believes that everyone has the right to the best legal immigration services available in the Northern Virginia/D.C. Metro area. Every client’s case is different and we take the time to develop a relationship with our clients so that their experience is positive and stress free. KPPB Law has over a decade of experience focusing on immigration law out of Fairfax, VA. Immigration lawyers at our firm have experience in processing all types of visas whether work, student, or family related. Our law firm’s meticulous approach to immigration law ensures your case has the best possible results. KPPB Law knows how to properly plan and manage your case from start to finish, leaving nothing to chance. Interested in pursuing an H-1B visa? Getting an H-1B visa approved is becoming more and more difficult. In recent years, competition over the pre-determined, available amount of H-1B visas has greatly increased. In order to have the best chances of getting an approval, you need to make sure your H-1B petition is properly constructed and error-free. Immigration lawyer, Beeraj Patel has managed over 1,000+ H-1B visa cases and knows exactly how to guide you through the H-1B process. 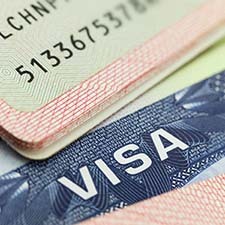 We’ve successfully managed all types of worker visas for our clients. This valuable experience can help you pursue your worker visa. We make sure to understand your situation in detail and guarantee to work hard to bring you the results you want. 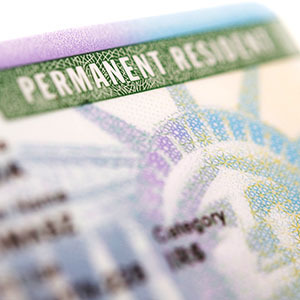 Before you can pursue any form of employment based permanent resident status, you will need to have a valid PERM Labor Certification. This is the first step in a three step process. Your future is important and you want an immigration lawyer who knows exactly what they are doing. Immigration attorney, Beeraj Patel has worked on over 500+ individual PERM Labor Certification cases. His experience ensures that all your questions will be answered and that your PERM labor certification is managed correctly from start to finish. This three-step process can be complicated and there is room for error. The best way to ensure an error-free experience is by utilizing the experience of a professional. Immigration lawyer, Beeraj Patel has guided hundreds of clients through the Green Card process and knows how to properly plan and manage a case so that each step in the process goes smoothly. If you’re interested in pursuing higher education in the U.S., you will need to hold a legal status as a student. Immigrant students can utilize an F-1 visa or J-1 visa, depending on their unique circumstances. The process for getting a student visa can become complex if a case is not managed correctly. Our staff is experienced in planning and processing student visa cases and will be able to help you decide which one is right for you. 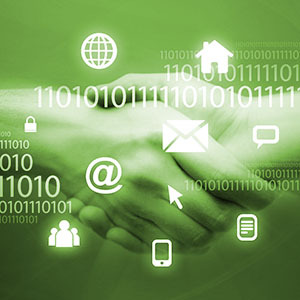 The technology industry is one of the fastest growing industries in the U.S. In order for companies to grow and provide high quality service, they need to be able to acquire talented individuals with specialized training. We provide services for IT firms and recruiters by ensuring professional legal immigration services, which will allow them to properly and legally obtain workers with specialized training. Our staff executes a systematic approach, designed by our attorneys with industry experience to start and manage talent acquisition that both consistently minimizes errors and protects employers from unwanted backlash. This practice includes H-1B petitions, PERM Labor Certifications and Optional Practical Training (OPT)/Curricular Practical Training (CPT). At some firms, service is impersonal and you may rarely get the chance to consult with your attorney. Here at KPPB Law, we think that communication is key. Our responsive attorneys and staff make themselves available to answer your questions and listen to your concerns. We make sure that you have the opportunity to talk to your attorney and voice your goals and opinions. Dealing with immigration issues can be stressful, but working with our staff and attorneys will make you feel relaxed and confident in your decision. If you’re looking for an immigration attorney, we combine a highly attentive and professional staff with the expertise of some of the most qualified immigration attorneys in the area. It’s impossible to tell how every immigration case will go, but we can promise to take all the necessary steps to ensure your case has the best results. The best services are not always the most expensive. Our firm’s services are amongst the best available in the Northern Virginia, D.C. Metro and Maryland areas and we provide them to our clients at an affordable rate. When you hire us, you will experience much more peace of mind. Our staff is always available and our attorneys know how to properly plan your case as well as deal with any unforeseen circumstances that might arise. A good immigration law firm should make your life less stressful. Letting our attorneys handle your case will ensure you have the best possible resources available to you. Legal immigration issues are important and the process can become complicated and stressful if they are not managed correctly. When you are deciding on an immigration lawyer, remember – helping you reach the future you want is our number one goal.